Before you read this article, please make sure you’ve already read this primer: http://bit.ly/100VB2r about the basics of securing radio spins. Radio is still the most misunderstood aspect of this industry. 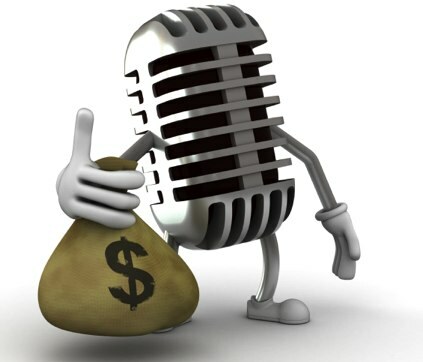 I see people lose tens of thousands of dollars constantly in this industry because they either trust the wrong radio promoters or they don’t know what they are doing. I can’t teach you whom to trust, but I can tell you how I successfully pursue radio for my artists. There are MANY variables with radio: time of year, how crowded the radio market is, money, your song, sound, subject matter, money, tempo, features, who’s behind it, the artist, work ethic, money, how established the artist is, how likable the artist is, how likable and knowledgable you are, money, relationships, power, experience, catchiness, money, frequency of your releases, your money, their money, competing labels’ money, etc. 1. You’ve gotten your single hot on the streets and in the clubs in your region (not just your city, but in the cities that are within a 5 hour driving radius of where you or your artist live) because you’ve already read http://bit.ly/ZvYfJu and maybe even had the chance to read http://bit.ly/YXtwUN as well. 2. You have a radio ready song that’s not only marketable for radio and fits the format, but is mixed and mastered to compete with everything already at radio such as Kanye, Jay Z, 2Chainz, Rihanna, Ke$ha, Lil Wayne, etc. There’s no cursing, the song is around 3 and a half minutes in length, and the subject matter is palatable (even clean versions of songs like “I Wanna F#ck Your B#tch” are harder to work than songs about love and respect, for example, especially for new artists who are scrutinized more harshly). 3. If you have a feature from an established artist on the single, you’ve already gotten the necessary clearances, in writing, from both the artist AND the label to whom he or she is signed giving you “single rights.” If an outside producer (someone not signed to your company) produced the beat, you have a contract with that producer saying you can use his production. 4. You have a good reason for wanting radio play–to sell single downloads, to increase awareness and build show opportunities, etc. By the way, just wanting to hear yourself on the radio, or because you want to be famous are really bad reasons to spend $15k to $100k on radio spins. If you only have one song to work, and no plan, you are wasting everyone’s time and your money. 5. You have registered every version of your single with both MediaBase and BDS. If you don’t know how, your radio promoter can help you do this. You’ve established your ASCAP and/or BMI, and SoundExchange registrations. If you don’t know how to do this, add “.com” to the end of each company and do the research online (such as BMI.com). Once you’ve accomplished the basics, it’s time to decide which markets are best to break for your artists. The majority of artists that I consult are southern in their sound, so I usually focus on radio in the south initially and then spread into the Midwest. I choose which radio promoter to use based on my target markets. Each radio promoter has key relationships, and what you are buying IS his or her relationships with program directors in key markets. You also need relationships with multiple radio promoters because when one is overwhelmed with a lot of records to work, you don’t want to hire him or her to work your record. It could easily get lost. I always focus on a workable area so we can back up our records with contests, give-always, performances, etc–for example, I don’t really want the single spinning simultaneously at radio in San Francisco, Las Vegas, Miami, and Baltimore. They are too spread out for a small label or an indie artist to affordably work them. I prefer to stick to regions: Southeast, or Mid-south, or Midwest. I back up the radio spins by continuing to promote on the streets (promotional tours work wonders) in each area where we get radio play. I don’t initially go after major markets like Houston, Dallas, Chicago, or Atlanta. I secure the surrounding smaller markets and then build into the larger cities once we have a story to tell about the single–once it has legs. I do NOT have people call in to request the song because I believe real reaction is superior over fake results. I do, however, print thousands of flyers with radio request line phone numbers for each market to inspire fans to request our song. I also use targeted social media to encourage my artist’s fans to support our single. With rap music, there are 3 radio formats we can target depending on the sound of the song (and subject matter): Urban, Rhythmic, and Top 40 (Pop). Urban is the easiest to get added, Rhythmic a bit more challenging (and more costly), and Pop is the hardest (and most expensive). Think of them as 3 steps, provided your song fits at all three formats; you can start at Urban, grow into Rhythmic stations, and then expand into Pop. Again, IF the sound of your song warrants that–most do not. I’ve never seen a record climb backwards, meaning I would never go after Pop radio and then try to secure Rhythmic or Urban. Urban, Rhythmic, then Pop. If your song is more mainstream, I’d bypass Urban and go right to Rhythmic and then Pop. In charting single sales, Urban spins rarely turn into single download sales, while Rhythmic and Pop almost always directly correlate to single sales. Urban spins do help build a rapper’s initial popularity at securing shows or being able to increase his or her show price. Each radio format has a limited number of slots for songs. These slots are filled by hit records and the most well known artists. Remember, the goal of the station is to keep people from changing the station to the competition and most listeners want to hear songs they know so they can sing along. Each week there are usually only one or two slots available yet the Program Directors receive many songs vying for those slots. It’s very competitive at radio and the best songs don’t necessarily survive. Once you’ve got an idea of your territory and chosen the radio promoter, it’s time to start getting the spins. The radio promoter will give you an add date at radio (always a Tuesday). This date will be chosen based on the timing of what else is dropping in the marketplace, so your record doesn’t get passed over for the superstar records (a risk that is always there) or lost in a sea of other priorities. The reality is that if it’s a choice between your record or a major label record, the radio program director will most likely support the major label because there is a strong relationship there. Major labels have been supporting radio for many years before your one little record, and will for many years after your one little record. Having said that, a hit record has value to everyone and gets attention. Program Directors (PDs) are the decision makers at radio stations that choose what gets played on the radio. Music Directors (MDs) are the people directly under the PDs who usually suggest music and often meet with artists and labels. They are rarely the decision makers but run interference for the PDs. Payola is illegal. There is not one radio station in this country that will take money from you to play your record. There is not one radio station that will even make a move that could be interpreted as payola (like accepting a gift, or swapping a performance for increased spins, etc). But you will pay the radio promoter. You police the success of your record via BDS or MediaBase reports that track the amount and time of your spins daily and/or weekly. If you hire a radio promoter to get you spins on twenty stations, he or she will. Whether those stations benefit you is another story, but you got what you asked for–spins on 20 stations. It’s human nature to go where there’s the least resistance, so those 20 stations might be the easiest ones to deliver, as opposed to the best stations for your project. It’s YOUR project, so it’s your job to know which stations are beneficial and which stations are not. You must know what your needs and goals are and work with the promoters to deliver what you need and what you can best afford. Radio is an expensive game. You also need to work within the realistic confines of what the radio promoter can deliver. It’s not like you make a list and say “I want these stations at this time everyday.” Those would be advertisements. Radio is a wonderful medium to reach large amounts of people, mostly women, with your music. You focus on one single at a time and the life of a single at radio is 12 to 16 weeks. Make sure your timing is right and make sure you can back up that single with street promotions, Internet promotions, a promo tour, etc while the song still has life in it. I work my records slowly–meaning I spend slowly at radio. I never give a radio promoter $75,000 and say ‘go get me the south.’ I test my records, usually spending around $10,000 initially to see if my record has legs. This tests a few good markets and I can see if the record stays only in the overnight slots or if it moves into better day parts. I want to see if it’s “reacting.” I can see if the Program Director embraces the record (it increases in spins naturally every week) or not. My plan is that if I’m going to lose money on a single at radio (which is unlikely because it has a strong street and club buzz, so I already know fans like it), I’m going to lose as little as possible. Much of what I want to teach you, I can’t because it’s based on feeling. You learn to feel records and you can tell when they are reacting or not. You light the spark and then hope it catches fire. Sometimes emotion and our own love of a record can cloud our judgment of whether or not we have a strong single. I’ve seen many people chase a record and spend $50,000 or $75,000 only to learn that the single did not react at radio. I’d rather learn this after $10,000 or $20,000 is spent. The ONLY folks who determine if a song is a hit record are the fans–the listeners. You don’t know, I don’t know, your consultants don’t know, the radio station doesn’t know. Only the fans can determine if it reacts or not by whether they embrace it or not. You can’t really force a hit…I’ve tried. Lastly, radio is a great way to reach a large amount of people at once, as long as people continue to listen to the radio. Your BDS or MediaBase reports tell you how many thousands or millions of people are potentially hearing your record. If your goal is to get a deal from just radio spins, you haven’t done enough research on how to get a record deal. If you think you can spend $20,000 to get 500 spins a week at urban radio, you haven’t done enough research on how radio works. If you don’t have a goal for your radio play, you’re wasting your time and money, and taking away the few open slots at radio for those of us who have a goal and a plan! Get out of the way. Wendy always posts very helpful and informative articles. You want to get the job done and done right….go to Wendy! if you know then you can write otherwise it is complicated to write. you actually realize what you are speaking approximately!